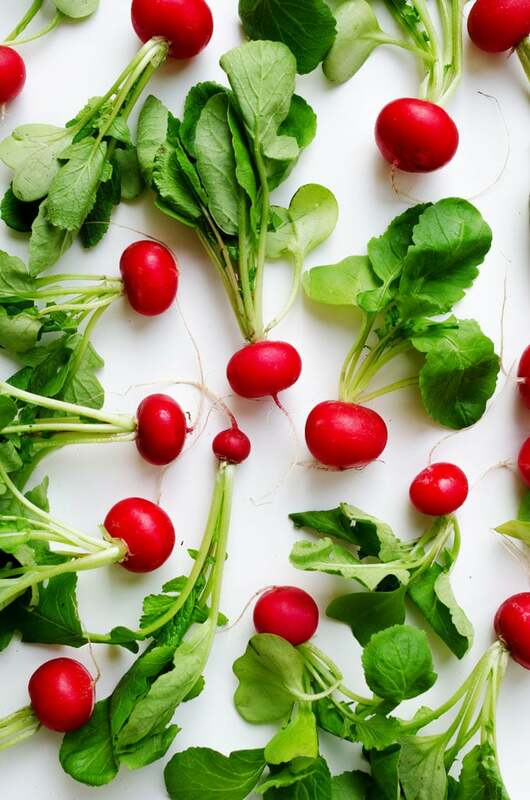 Tis the season for radishes! Which sadly, until recently, were not a staple in the Live Eat Learn kitchen. I’ve always admired these fuchsia roots from afar, too unsure to really give them a go. As it turns out, I’m a damn fool. These add peppery crunch and color to your dishes, and this week we’re making them the star of our show! 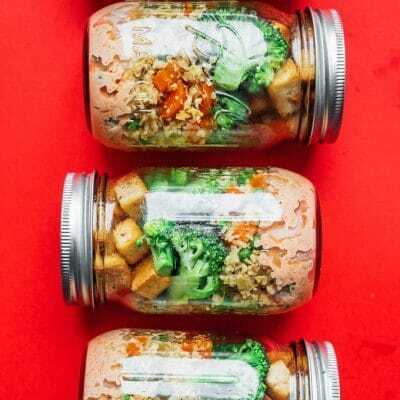 Before we get into the recipes later this week, here are 7 radish recipes to to make you actually want to eat your veggies! 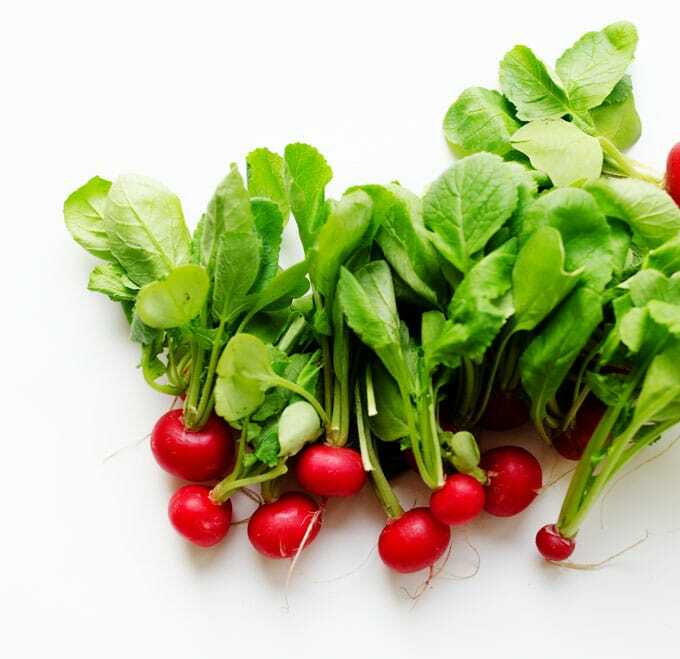 Spring Radish Salad: Simple ingredients and even simpler methods. Just chop and mix! 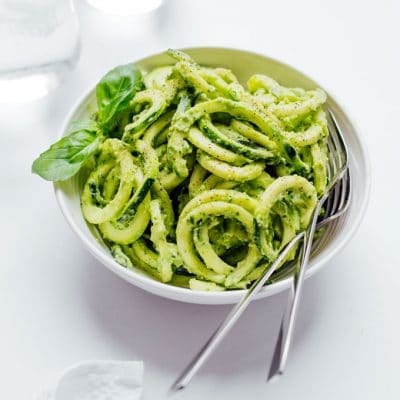 I think basil or mint would also work well in the recipe. 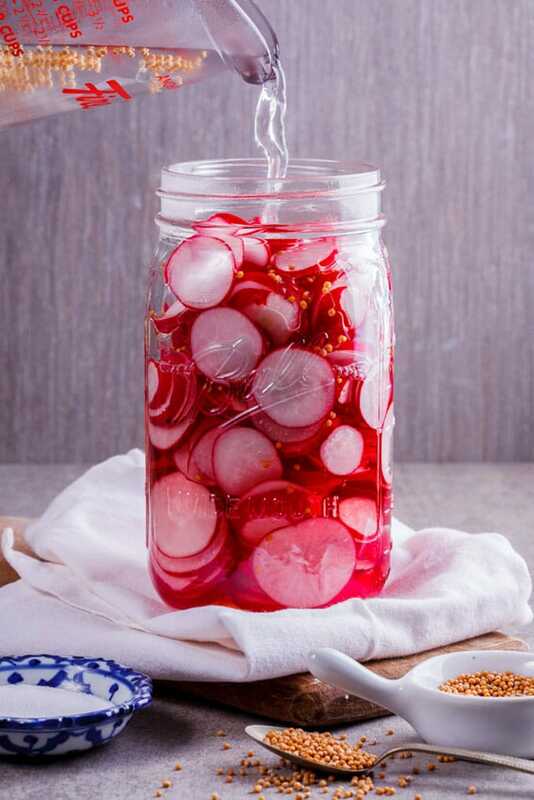 Easy Pickled Radishes: Quick pickled radishes on tacos may just be the best thing…ever? They add the perfect amount of sourness that you didn’t know you were missing on a taco until you try it. 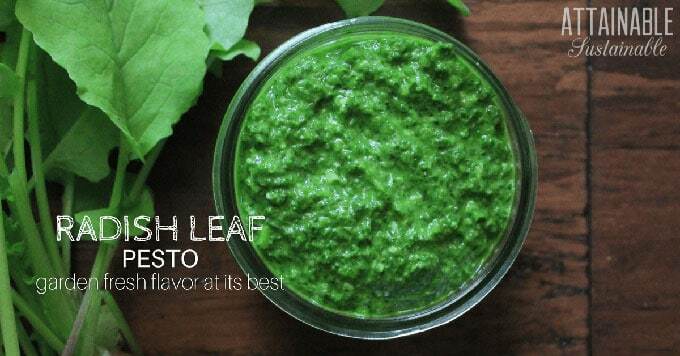 Radish Leaf Pesto: I told you that you can make pesto from any leafy green! 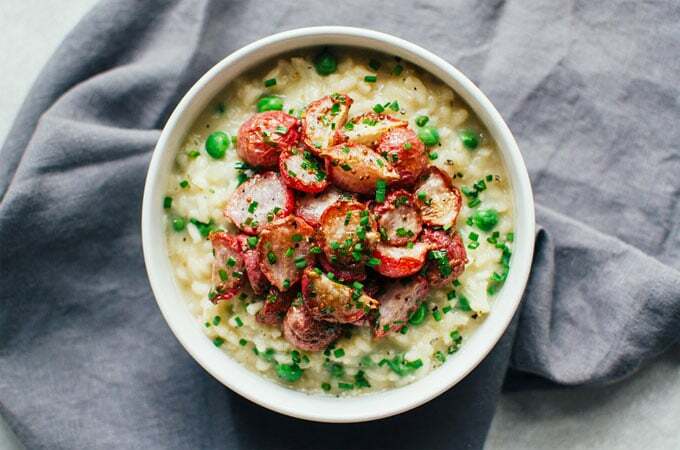 Sweet Pea and Roasted Radish Risotto: I have a newfound love for risotto. 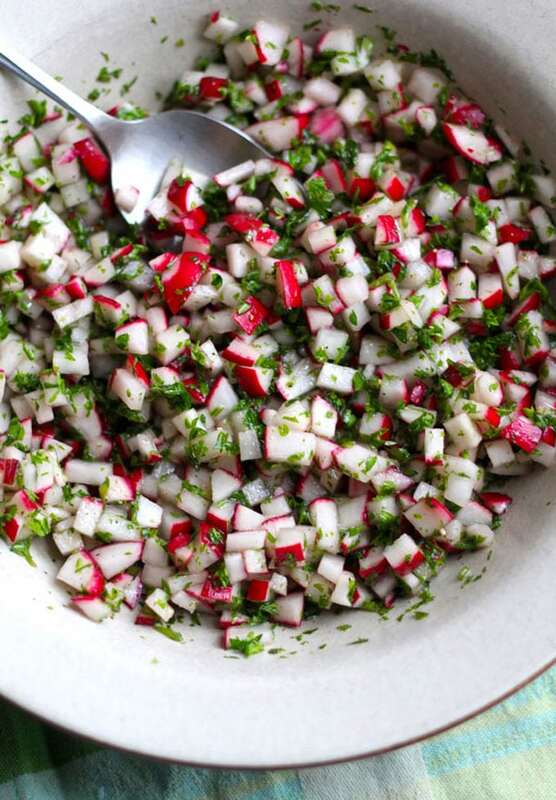 Adding some roasted radishes just about make it a complete meal! 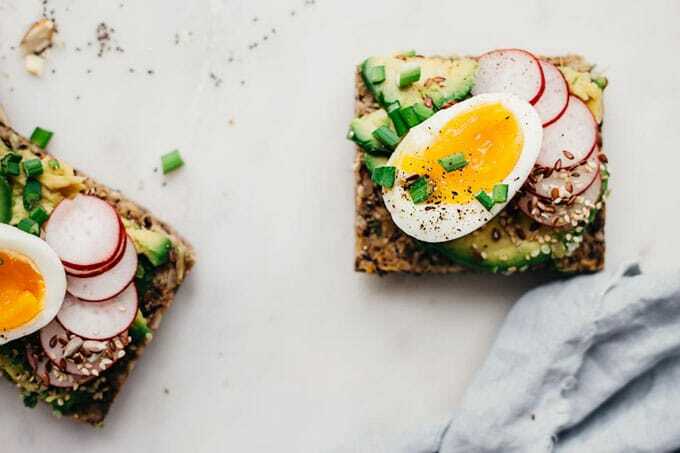 Put ’em on a sandwich: Pair zesty radishes with mild and creamy avocado and soft boiled eggs for a bomb breakfast. 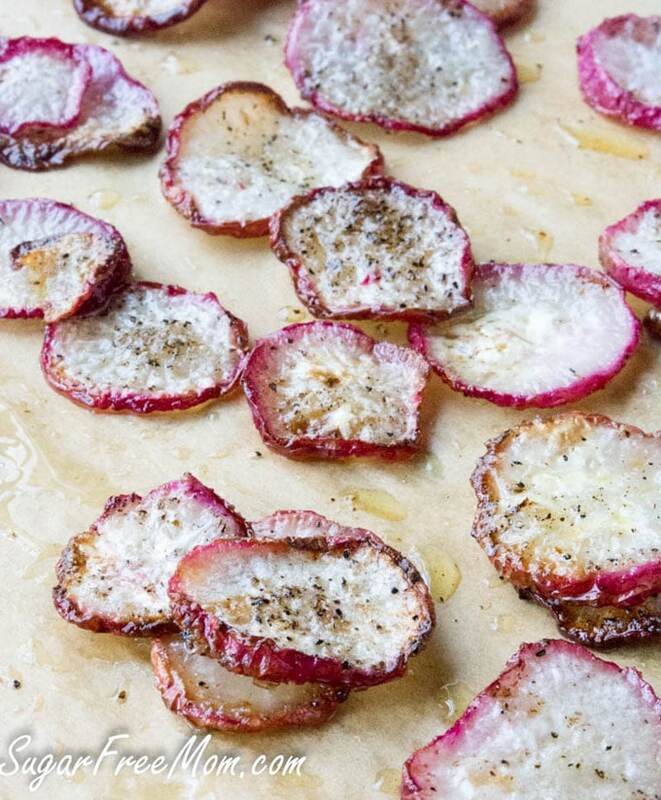 Salt and Pepper Radish Chips: A low carb alternative to regular chips! Use a mandolin slicer to avoid the hassle of thin slicing (and to prevent this catastrophe). 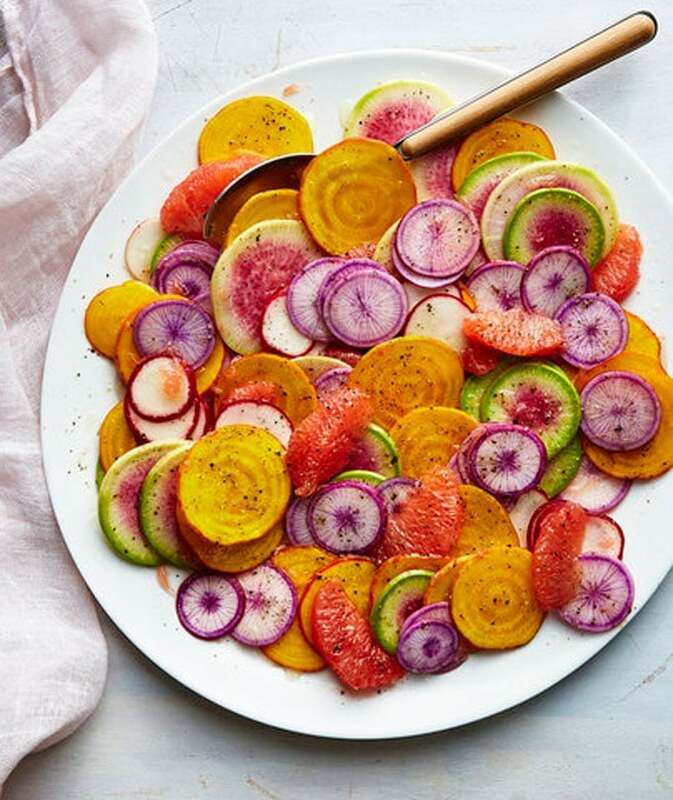 Grapefruit Beet Radish Salad: I don’t know if you know this, but I LOVE COLOR. So this salad? Yea, it’s so happening.